The bionic-eyed people at Development Initiatives have spotted some interesting numbers in the OECD aid database for US food aid to Cambodia in 2010. 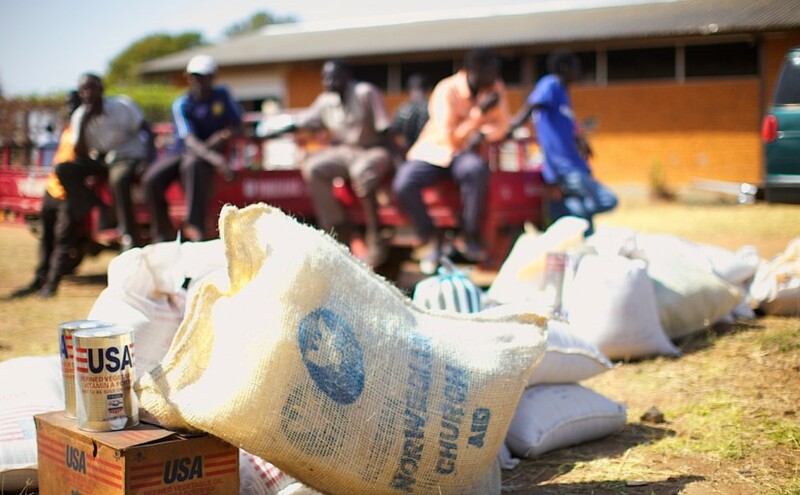 Of $5 million of food aid, $3.5 million (70%) was spent on freight and logistics. This is another example of the immense waste caused by US rules requiring a substantial proportion of food aid to be bought from US suppliers and to be shipped on US-registered boats. In another US food aid project to Cambodia in the same year involving local procurement, the freight costs are only 19% of the total. a. How many people in the developing world go hungry each evening because of the way we waste our food aid budgets? c. How dare we lecture developing countries about wasteful procurement, corruption and inefficient public expenditure? Well given those figures any sane person would allow a little under $2m as aid ($1.46m plus a 33% mark up for distribution – giving a freight as a percentage of total as 25%), and a little over $3m as support for the US distribution industry. No objections if thats how the US Government wants to spend their money, but they should at least be honest about it. I recall writing about this years ago. And I think you Owen even commented on the piece. There was actually an attempt to change this system. The President suggested to Congress that instead of shipping food why don’t we ship money so that food can be bought locally? Congress turned it down of course: but who the Pres was was interesting. George W Bush. One of the few things he at least tried to do that was without doubt the right thing to be trying to do. @Tim – Yes indeed: this is one of the many things we agree about. Andrew Natsios, one of G W Bush’s Administrators of USAID made strenuous efforts to reform US food aid, and to be fair some limited progress has been made. Nor should we imply that Europe is perfect. There is a long way to go. It should also be noted that food aid is exempt from the OECD rules on tied aid and does not have to be reported as such, making US aid look better on that metric than it is. As for the argument that swallowing the inefficiencies of tied aid, cargo preference, and monetization are necessary to maintain support for the food aid budget, it could be cut 50 percent and we’d still have as much aid actually getting to people as we are now. The information as provided gives total costs only. It does not break down the costs of transport by segment which is what you want if you wish to identify where the highest costs come from and respond accordingly. I recall reading a paper breaking down such costs and showing in Nigeria that the cost of transporting leather from the interior to the coast was higher than the cost of shipping it from a Nigerian port to its UK destination. Let’s not forget the damage it does by suppressing/ failing to encourage local production, thereby increasing dependence on food aid. Clearly such aid gives the lie to any interest in development…. Previous Previous post: Malaria vaccine setback: what can we learn?